Dedication ceremonies for the United States Holocaust Memorial Museum were held on Thursday, April 22, 1993, and included speeches by U.S. President William J. Clinton; Chaim Herzog, President of Israel; Harvey Meyerhoff, Chairman of the United States Holocaust Memorial Council; and Elie Wiesel, professor, author, and Holocaust survivor. The Museum opened to the public the following Monday, April 26. As of November 1, 2006, over 24.1 million people have visited the Museum. The design and construction of the Museum were part of the mandate given to the United States Holocaust Memorial Council when it was chartered by a unanimous Act of Congress in 1980 (Public Law 96-388). Designed by James Ingo Freed, architect, and built at the cost of $168 million, the Museum houses the permanent exhibition on the Holocaust; temporary exhibits; the Hall of Remembrance; two theaters; educational facilities; numerous research collections; the Holocaust Survivors and Victims Resource Center; and the Center for Advanced Holocaust Studies. This bibliography was compiled to guide readers to materials on the Museum and the Council that are in the Library’s collection. It is not meant to be exhaustive. Annotations are provided to help the user determine the item’s focus, and call numbers for the Museum’s Library are given in parentheses following each citation. Those unable to visit might be able to find these works in a nearby public library or acquire them through interlibrary loan. Follow the “Find in a library near you” link in each citation and enter your zip code at the Open WorldCat search screen. The results of that search indicate all libraries in your area that own that particular title. Talk to your local librarian for assistance. Provides an narrative history of the United States Holocaust Memorial Museum, from the establishment of the President’s Commission on the Holocaust in 1978 through the opening of the Museum in 1993. Discusses the construction of the USHMM on the National Mall, the development of the exhibitions, and the performance of Holocaust memory. Includes photographs and endnotes. Reviews significant issues with the design and construction of the USHMM, including key challenges for engineers. Includes schematics, designs, statistics and floorplans. Focuses on the development of the Museum’s Permanent Exhibition. Reviews the general objectives of the institution, plus the strategies and methods by which these goals would be attained. Includes the proposed sequence of the Permanent Exhibition, a review of content recommendations, suggested methods of presentation, and a discussion of themes, questions, and messages to the visitor. Appends a chart of the elements to be included in the exhibition, a schematic diagram of the exhibition’s sequence, and a concept sketch of the Hall of Remembrance. A collection of newspaper and magazine articles concerning the Museum, compiled by the Museum’s Communications Office in July 1993 and divided into the following sections: Dedication News Features; Public Opening and Opening Events News Features; Daily News Features; Magazine and Journal Features; Art and Architecture; Columnists; Editorials and Commentary; Editorial Cartoons; and, Jewish Press Features and Commentary. Relates the story of the United States Holocaust Memorial Museum, describing the nature of the Museum and explaining the process that led to its creation. Addresses the building’s architecture, the conceptual design of the exhibition, the values and principals underlying the Museum, and the Museum’s outreach activities of education, collection, and research. Extensively illustrated. A technical and informative review of the Museum’s architecture and design. The text describes the Museum’s look and impact in great detail, while numerous photos, sketches, and design plans set the words in a visual context. Published as part of the Architecture in Detail series. The text of a lecture exploring the relationships between the Museum’s art and architecture and the acts of remembering and memorializing. Evaluates the ability of the building and its art to emotionally or intellectually engage visitors. Critiques the building’s design and its impact. Also examines the Museum’s policy vis a vis art and the role that art came to play in the Museum’s larger purpose. Includes numerous color photographs. A statement by the Museum’s architect about the process of designing the Museum. Reveals the ideas behind the architecture, the goals he set out to meet, and the limitations with which he had to work. Part of a collection of essays by artists and scholars looking at how public memory of the Holocaust is being shaped in museums and monuments in Europe, North America, and Israel. Booklet based on an exhibition held at Mount Holyoke College Art Museum on the design of the United States Holocaust Memorial Museum. Provides a short history of the Museum’s creation, a brief description of the parts of the Museum, and an interview with the architect, James Ingo Freed. Also includes many photographs and architectural drawings and a list of all items included in the exhibition. Master’s thesis studying architectural symbolism and its interpretation. Includes theoretical foundations and approaches for the general subject and then applies these architectural principles to five museums, one of which is the United States Holocaust Memorial Museum. Includes numerous reproductions of photographs. Discusses the specificity of architectural objects in commemoration and the genesis of the USHMM from planning through construction. Includes endnotes. Analyzes the architectural designs and commemorative intent of the memorial coordinators at the Ghetto Fighter’s House, Yad Vashem, the USHMM, and the Holocaust Memorial in Berlin. Special attention is paid to the drive for authenticity at the USHMM. Includes photographs, images, architectural designs, chapter notes, a bibliography and an index. Describes the Museum and tells the story of the Holocaust through a simulated tour of the permanent exhibition. Suitable for middle school level. Discusses the methods used by the USHMM’s staff to create the exhibition Deadly Medicine: Creating the Master Race. Includes images and footnotes. Based on the special exhibition Nazi Olympics: Berlin 1936, held from July 19, 1996 to July 27, 1997 and remounted in 2008. Recounts the story of the 1936 Olympics, describing the international debate over a boycott of the Games and exploring how the Nazis attempted to turn the event into a propaganda tool for their cause. Includes numerous photographs, a bibliography, and a chronology of significant events. Also lists previous sites for the Olympics and the countries that participated in the 1936 Games. Written for young adults. Published in conjunction with the special exhibit State of Deception: The Power of Nazi Propaganda, held from January 30, 2009 to December 1, 2011. Provides primary source documents, images, and texts created during the Holocaust to demonstrate the various techniques used by the Nazi German government. Includes translations of propaganda and contextual information as well as provenance details. Draws on the Museum’s large collection of artifacts, photographs, maps, and taped oral and video histories to tell the story of the Holocaust. Personalizes this history by following the stories of twenty individuals from the Museum’s I.D. card project. Includes a brief chronology of the Holocaust, suggestions for further reading, a glossary, and an index. Written for young adults. Conveys the history of the Holocaust according to the layout and exhibits of the United States Holocaust Memorial Museum. Includes passages taken directly from exhibit texts, the inscriptions on the walls of the Museum, and many photos drawn from the permanent exhibition. Discusses the use of guided exhibition tours and structured conversations about the Holocaust for professional development opportunities. Online descriptions of these programs can be found under the section Resources for Professionals. Includes photographs, documents in translation, and endnotes. Published in conjunction with the special exhibit Liberation 1945, held from May 9, 1995 to January 7, 1996. Addresses the liberation of the camps, the discovery of Nazi atrocities, the early war crimes trials, and the struggles faced in the displaced persons camps. Includes numerous photos and artifacts from the exhibit, as well as a list of those units recognized as liberators at the time of the book’s publication. Published in conjunction with the special exhibit Hidden History of the Kovno Ghetto, held from November 21, 1997 to October 3, 1999. Brings together unique materials from Lithuania, Israel, and the United States to present a view of Jewish life during the Holocaust. 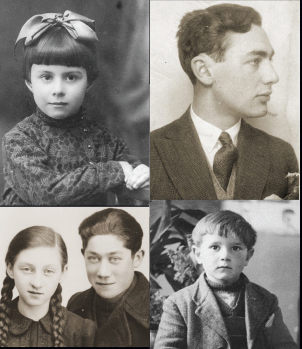 Uses documents and photos from the Kovno Ghetto, most of which had been clandestinely produced during the occupation. Published in conjunction with the Museum’s special exhibit, The Art and Politics of Arthur Szyk, held from April 10 to October 14, 2002. Traces Szyk’s personal and artistic journey, along with his development as an illustrator, caricaturist, commercial artist, Jewish patriot, and political crusader. Includes numerous full-color reproductions of Szyk’s work and other historical photographs. Published in conjunction with the first special exhibit held at the Museum from June 1993 to January 1995. Uses text and photos drawn directly from the exhibit. Summarizes the efforts of Varian Fry and the Emergency Rescue Committee to help intellectuals flee war-torn France. Companion book to the exhibition by the same name held at the United States Holocaust Museum from April 22, 2004 to October 16, 2005. Features numerous photographs, original documents, and drawings from the exhibition. Includes essays describing the history of the German eugenics movement, its influence on the Nazi medical establishment, and how its racial and social views contributed to the Holocaust. Provides a chronology, a guide to further reading, and an index. Published in conjunction with the special exhibit Flight and Rescue, held from May 4, 2000 to October 21, 2001. Uses text and images from the exhibit to chronicle the escape of more than 2,100 Jews from Poland to Japan and China and the extraordinary help they received from Dutch and Japanese diplomats. Includes a timeline of significant dates, hundreds of photographs, detailed notes, and an index. Published in conjunction with the special exhibit held at the Museum from April 12 to September 6, 1999 to commemorate the 60th anniversary of the fateful journey of the St. Louis. Uses text and photos drawn directly from the exhibit to summarize the events of May and June, 1939. Highlights the experiences of a few of the ship’s passengers, detailing their fate once they returned to Europe. Includes a chronology of the voyage, a list of the ship’s 937 passengers, and a summary of the Museum’s efforts to trace the fate of all the passengers prior to the exhibit’s opening. Provides quotations that appear throughout the USHMM. Includes information on the context of each quote, and images of the building. All quotations are also available online. Explores the purpose and impact of the Museum. Particularly discusses the philosophical issues surrounding the difficult efforts to describe an event considered by many to be indescribable. Explores the role of the Holocaust as a symbol in our culture by examining how the United States Holocaust Memorial Museum represents this historical event in its permanent exhibition and its building. Critiques the Museum’s “Americanization” of the Holocaust, discussing how the institution attempts to make the Holocaust relevant to contemporary American visitors. Studies the Museum in the context of other Holocaust places and people that, according to the author, have also achieved “mythic” status, including Yad Vashem, Auschwitz, Anne Frank, Oskar Schindler, and Adolf Eichmann. Also published under the title Images of the Holocaust: The Myth of the ‘Shoah Business’ (London: Duckworth, 1999). Analyzes the discourse on Holocaust memory and its use by educators to teach fundamental American values. Includes illustrations and endnotes. Describes the Museum’s design structure and details of its creation. Includes floorplans, illustrations, and photographs. Analyzes the relationship between the creation of Holocaust memory and the ideological reproduction of the American national ethos through the use of history and authenticity, the notion of responsibility, and the use of the personal experience. Includes footnotes and a bibliography. Discusses the visitor experiences within the exhibitions at Yad Vashem, the USHMM, and the Jewish Museum in Berlin. Includes photographs, endnotes, a bibliography and an index. Discusses the politics of creating monuments to victims of fascism that do not reflect the fascist architectural aesthetic. Compares the United States Holocaust Memorial Museum to the Monument Against Fascism in Harburg-Hamburg and the Memorial to the Murdered Jews of Europe in Berlin. Includes endnotes. Presents conference proceedings related to collective memory and preservation of history. Includes presentations and reports related to the inaugural of the United States Holocaust Memorial Museum. Each chapter contains footnotes. Discusses the role of empathy and emotion in creating a collective memory of the Holocaust through analysis of the United States Holocaust Memorial Museum, Steven Spielberg’s Schindler’s List, and Art Spiegelman’s Maus. Includes footnotes. Studies the dual use of photographs and art to document and memorialize the Holocaust. Particularly examines the exhibits at the Museum, analyzing the difficulties of bearing witness to history through photographs and artistic re-creation. Focuses particularly on the identity card project and the Tower of Faces. Includes forty photographs, notes, and an extensive bibliography. Considers the aesthetics and politics of the Museum’s display of exhibits on the Holocaust, and examines its role in influencing our culture’s collective values on this topic. Also evaluates the Museum’s underlying ideology and methodology, critiquing its representation and “simulation” of the Holocaust. Focuses on how visitors come to understand the reality of the Holocaust as they pass through the Museum. Contains illustrations and endnotes. Discusses the interactions between users and artifacts within the exhibitions and the religious aspects of such commemoration. Includes images and footnotes. A doctoral dissertation that seeks to determine how institutions established to study and preserve the memory of the Holocaust perceive their function to broaden the public’s understanding of this event. Surveys 112 Holocaust archive centers and analyzes the resulting data. Uses the Museum as one of five case studies examined in greater detail. Includes data tables, the text of the questionnaire used, the list of archival centers surveyed, and a bibliography. 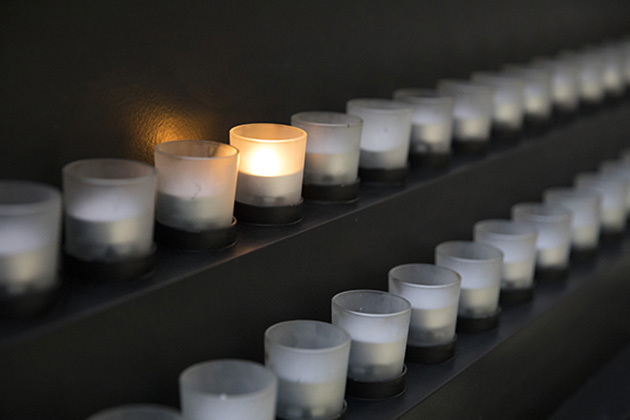 Examines the Museum, along with numerous other Holocaust memorials worldwide, in an effort to understand how the Holocaust has been memorialized in various countries and communities. Discusses the Museum’s architecture and design plans, along with the concept for the exhibition, evaluating how it will give meaning to the Holocaust. Written prior to the Museum’s opening. Includes an extensive bibliography. A video produced as part of the development campaign to support the construction of the Museum. Narrated by Ted Koppel. Documentary covering the Museum’s planning, construction, dedication, and opening. Narrated by Ed Asner. The C-SPAN broadcast of the dedication ceremonies held at the United States Holocaust Memorial Museum on April 22, 1993. Includes the remarks of Harvey Meyerhoff, Elie Wiesel, Israel’s President, Chaim Herzog, and President William Clinton. Highlights the week of events marking the dedication of the United States Holocaust Memorial Museum in April 1993. Traces the early history of the Museum, from the establishment of the President’s Commission on the Holocaust in 1978 to the Museum’s opening in 1993. Also reviews the features, programs, and services the Museum offers. Includes links to related sites. Answers seventeen different commonly-asked questions regarding the Museum’s history, architecture, and programs. Supplements the answers given with links to additional resources, such as the text of the law establishing the Museum and speeches given at the dedication ceremonies. Also provides the text of the major quotes that appear within the Museum. Describes the Museum building and its permanent works of art, highlighting the intentions of the architect and artists and illuminating the meaning behind various design decisions. Includes numerous photographs from throughout the Museum. The gateway to information about the Museum. Includes links to pages providing details regarding the Museum’s on-site and traveling exhibitions, the schedule of public programs and special events, press releases, the Holocaust Memorial Council, and other Museum resources. Provides information on the life and work of the Museum’s architect, James Ingo Freed. Ask at the reference desk to see the subject file labeled “United States Holocaust Memorial Museum” containing newspaper and periodical articles.